In 2001 following 9-11, we received a call from a friend whose neighbor abandoned their dog. I remember the day clearly, picking up this scared abused dachshund named Romeo. He was afraid of tall men which was a struggle in the beginning as the shortest man in our household was 6'4 (tallest 6'7). Through the years, Romeo brought us plenty of laughs and smiles. He was dubbed the cutest ugliest dog. He was a little whacky at times, but that made us love him even more. Romeo's real age was never known. The Vet placed him to be anywhere from 2-4 when we adopted him. We not only changed Romeo's life for the better, but he also changed ours. On June 12th, we sadly had to put the old boy down. He had multiple health issues and it wasn't fair to keep him in pain. This was one of the hardest decisions we ever made as a family. Yesterday, we buried his ashes, along with his favorite toy "thing". When we had him cremated, our ashes were returned with a poem and a butterfly shaped wildflower seed packet to plant along with his ashes. 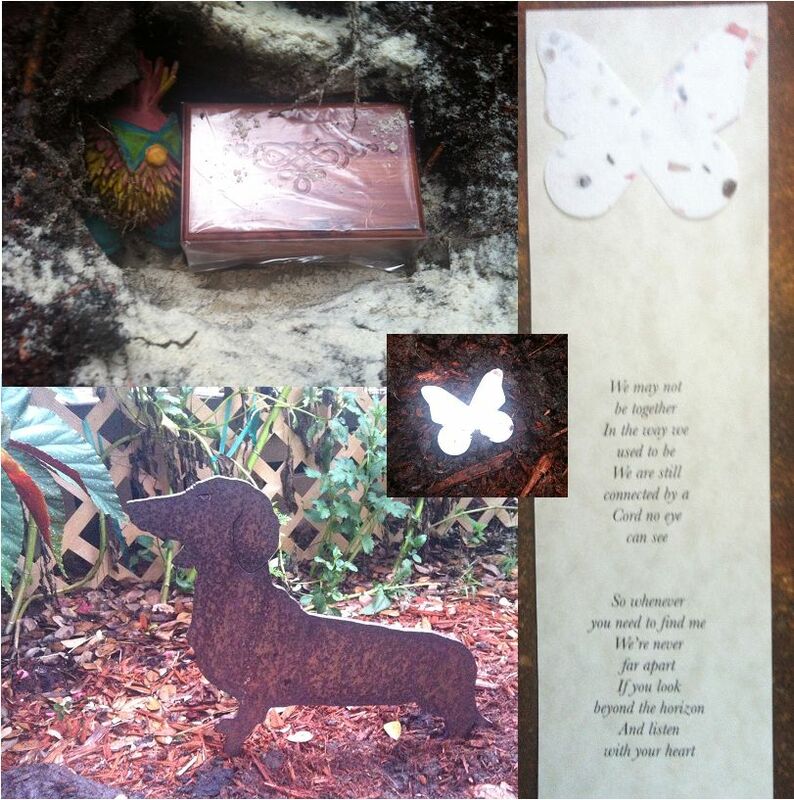 We buried him near his favorite "wallering" spot in the backyard and placed a bronze doxie statue so we could come visit. Romeo was a very silly boy and always brought a smile to our face. Romeo's life makes me sit back and reflect how important it is to adopt animals in need. I cannot imagine our last 10 years without Romeo in it and he will be missed everyday. I will miss Romeo! :( Love you! Dear Sodastream, I think I love you! New weekly guest blogger - meet Keri! Welcome to Tampa - Edison Food + Drink Lab!